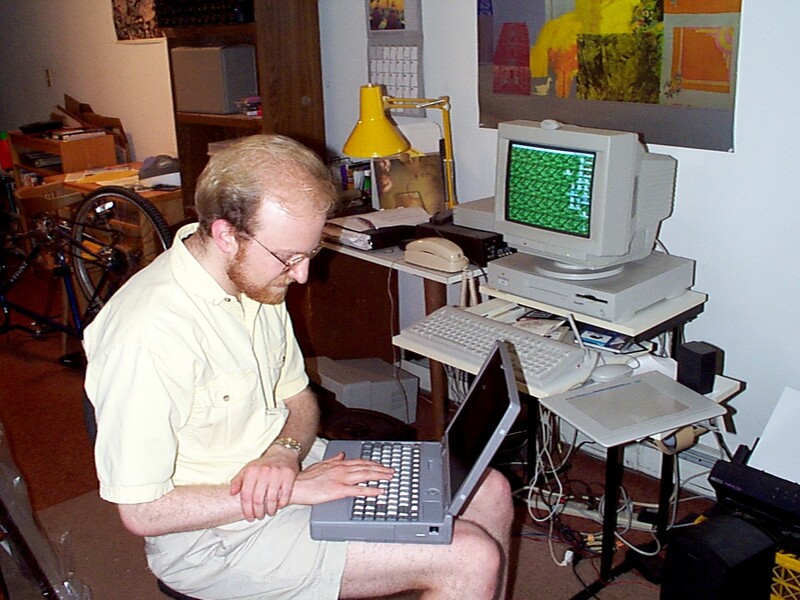 Photo of my friend Matt McIrvin, June 1997 in Cambridge, MA. Additional comments (Feb. 2014): Matt’s seen here checking out my awe-inspiring Toshiba Tecra 740 laptop. 16MB of RAM! 1024×768 screen! 2G disk! Nine pounds! Battery life was easily an hour if you didn’t need to use the screen. Photo taken with the equally awe-inspiring Kodak DC120 digital camera, with mind-bending 1280×960 resolution.